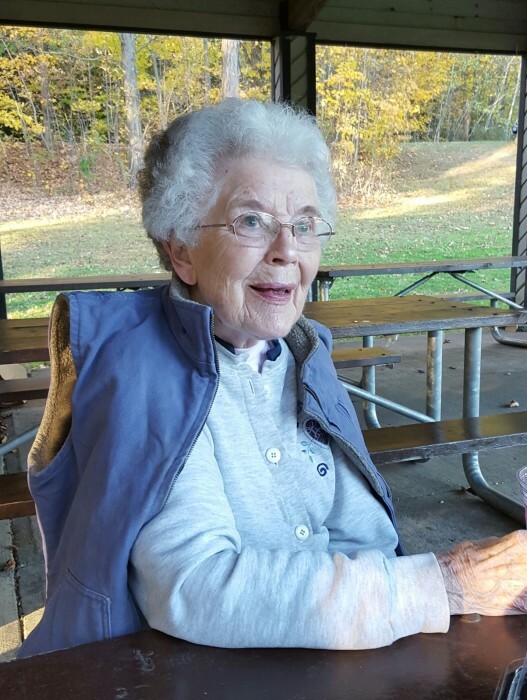 Obituary for Constance J. (Browne) Lee | Thomas J. Shea Funeral Home, Inc.
Kirkwood - While surrounded by family, Connie Lee (92) peacefully joined her loving husband of 52 years, Harold "Snook" Lee in Heaven, on January 24 2019. She was predeceased by her parents, Raymond and Luella (Gee) Browne and her sister, Barbara (Browne) Robinson Moran, her in-laws Maurice and Mabel (Norton) Lee; Gertrude (Lee) Ostrum, Mabel (Lee) Gorman, Thomas Lee and her granddaughter, Elizabeth Schilly. She is survived by her six children: daughter, Pat (Ondrako) Beebe; five sons, Mike (Janine), Jim (Lou Ann), Tim (Beth), Dave (Sue) and Bob (Patti); 16 grandchildren: Colleen (Ryan) Ondrako, Theresa Ondrako, Michael Beebe, Matt (Savannah), Andy, Patrick, Torie, Mike, Amanda, Jay, Suzanne (Matt) LaRussa, Katie, Kevin, Jenny, Kelly and Jonathan; great grand-children: Gavin and Ava Miller; sister, Lucy (Browne) Chamberlain, brother, Ray (Linda)Browne, brother in-law, Maury Lee; many nieces and nephews; and countless others who loved her as their own mother/Memah. Connie graduated from Wilson School of Nursing as an RN. She was a member of Saints John & Andrew Church. Connie will always be remembered as a selfless, loving, and gracious wife, mother and Memah /Grandma/Grammy. She had a quiet strength, an ever present smile and loved unconditionally. Our family would like to offer our sincere thanks and gratitude to Dr. John Perry of Endwell Family Physicians for the amazing, compassionate care that both she and our dad received for years. A Funeral Mass will be offered at Saints John and Andrew Church in Binghamton on Tuesday at 10am. Burial will be in Calvary Cemetery. Friends may call at the THOMAS J. SHEA FUNERAL HOME, INC., 137 Robinson St., Binghamton, NY 13904 on Monday, from 4-7p.m. In lieu of flowers, in Connie's memory, please love your family, make it a priority to spend time with them, and treat others the way you want to be treated.